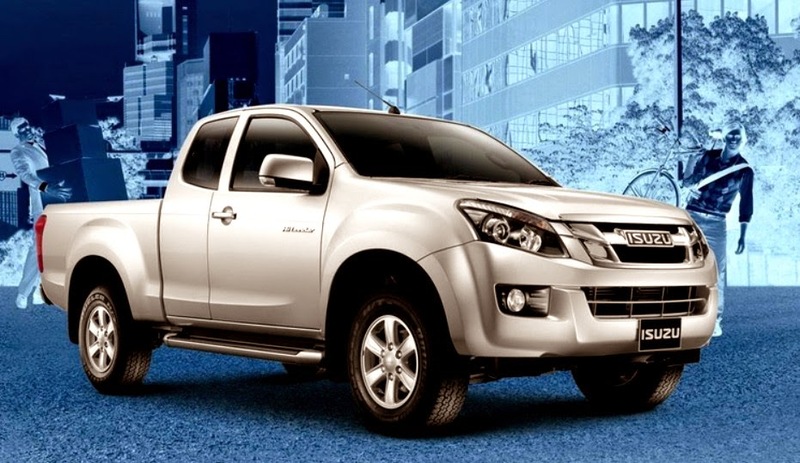 Isuzu D-Max models introduced in 2015 for the UK market. Some refreshment has been done by the Japanese manufacturer. The most visible change on the sidelines for the exterior, while the interior despite a change but very little at all. As reported by the Worlsdcarfans, Sunday (04/12/2015) D-Max 2015 is offered with a starting price of 25.999 pounds or approximately Rp490 million. This facelift edition presents a new twist on the exterior form of two new body colors, Cosmic Black or Pearlescent White, with gray accents on the grille and Cosmic Black accents on the mirrors and door handles. What's new in interior leather seats only and special floor mats, rear vision camera, and the head unit has been equipped with navigation features. Problem kitchen runway is still relying on the twin-turbo diesel engine capacity of 2.5 liters that can output up to 163 PS power and 400 Nm of torque. The engine is linked to one of the transmission, a six-speed manual or five-speed automatic. As a standard feature, the D-Max uses a four-wheel drive system. No Comment "Isuzu Introduce D-Max 2015"